Their companies, Yellow Cab, Barrel Taxi, Checker Cabs, Prestige Cabs, 24-7 Taxi Line, Capital Taxi, Sherwood Park Yellow Cab, Leduc Yellow Cab, Sky Shuttle and Prestige Limousine have been providing unrivaled service since 1945. Greater Edmonton Taxi Service is committed to providing the best possible service to all traveling passengers regardless of their physical abilities and as such, we provide state of the art Wheelchair Accessible Taxicabs. As part of our commitment to persons with disabilities, we are a member of the Taxicab, Limousine and Paratransit Association. 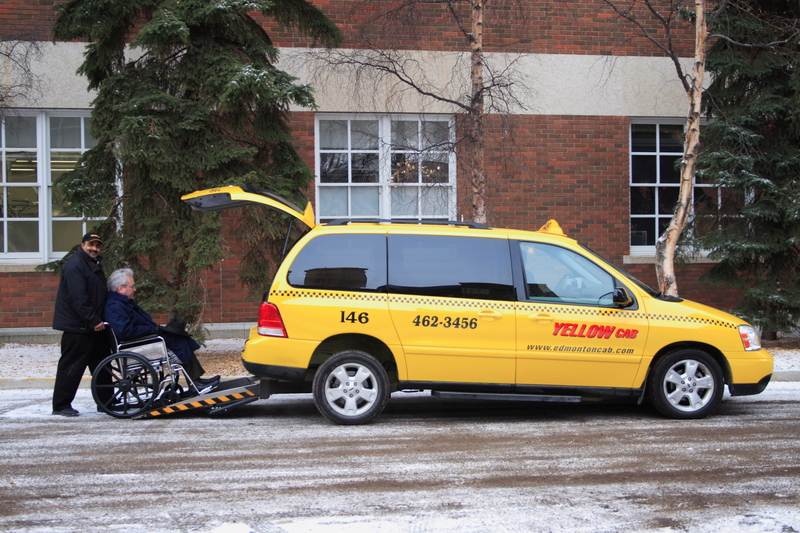 Book online or call now for a Wheelchair Accessible Taxicab at (780) 462-3456. Greater Edmonton Taxi Service Inc. Greater Edmonton Taxi Service Inc. is Edmonton and area's largest taxi and transportation service. We have a history of unparalleled customer service that can be traced back to 1945.